Leylandii: Hot or cold composting? As I write on the What Can I Compost page conifers, including leylandii, can be composted but the composting process is slow in the conventional cold composting system taking from two to five years. Using a hot composting technique is, as might be expected quicker, our friends at Hotbin indicate that at 40-60C compost can be produced in about three months. Both branches and leaves are acidic and large amounts added to the bin or compost heap are said to lower the pH. While this may be true in the short term, if large amounts are added at any one time the unfavourable pH may slow the composting process but it will in due course return to a neutral PH. Decomposition of Leylandii leaves tends to provide a challange to the composting micro-organisms as the leaves have a natural coating which makes it harder for bacteria to break them down. 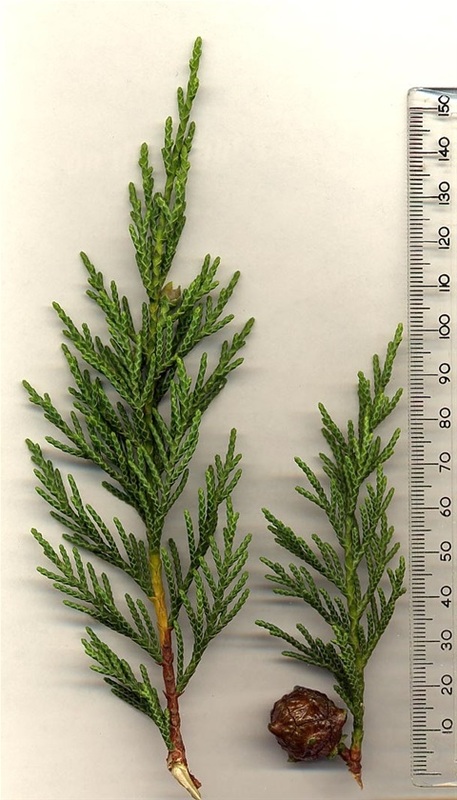 It is therefore recommended that the leaves and cuttings from this, and other conifers, should be shredded into small pieces to expose the maximum surface area of material to microbial attack. The smaller the pieces the greater the surface area exposed to microbial activity and the quicker the decomposition. Leylandii, as with other leaves being composted or used for leafmould can also be “shredded” by running over them with a lawnmower, but this not normally as effective as using a shredder. Where cold composting techniques are used, or there are large amounts of leylandii, it is best to compost them separately in a designated slow compost heap to avoid reducing the effectiveness of the main compost bins. Leyandii grows on average a metre a year, and trimming a long hedge may well resulting in more material than be compsted in a modern compost bin. If the trees are trimmed regulary so that the thickness of the branches does not exceed that recommended for the shredder any spare woodchip can be stored and used during the winter as a bukling agent with the kitchen waste that may be the main material composted over the winter months. If the branches are to big they can be trimmed and the smaller leaves shredded or used in a separate even shred compost heap. Alternatively, the council’s green waste recycling service can be used either putting them in the “Green Bin” provided (usually at a cost) or taking them to the Recycling site. While they can be difficult to home compost, they present no problem for the industrial composting processes. A further problem with leylandii is that many people, including me, suffer skin rashes when the acidic clippings touch bare skin. The problem is easily solved by wearing gloves and covering the arms when cutting or handling material from leylandii hedges.